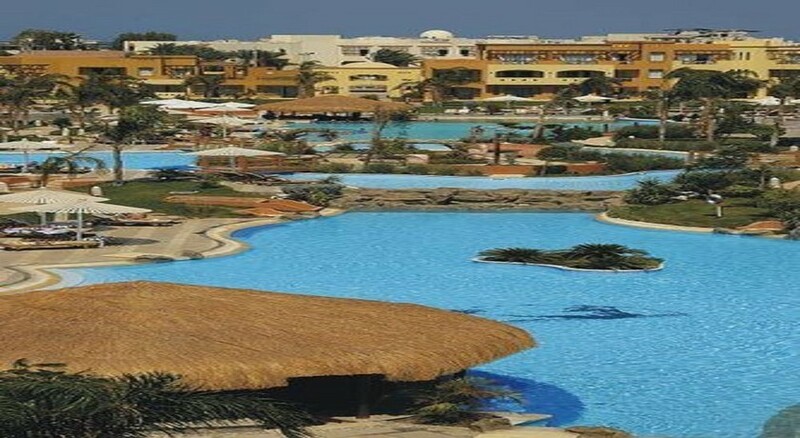 The Grand Plaza Resort Hurghada, a 4 stars Resort with 199 rooms, is designed to provide a most memorable vacation. 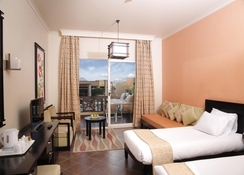 Guests of the Grand Plaza Resort already feel at home, but now they can also be at home. The romance of The Grand Plaza Hotel history is only part of its allure. All the rooms have been graciously designed. 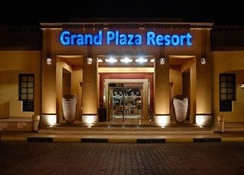 The Grand Plaza Resort is within walking distance to the Grand Plaza Hotel Beach and in Hurghada touristic promenade. 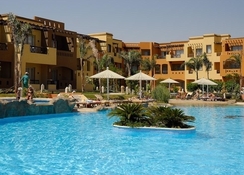 Just a short drive from downtown Hurghada and only Five Minutes from Hurghada International Airport make the Grand Plaza Resort the ideal choice to stay and enjoy Hurghada. 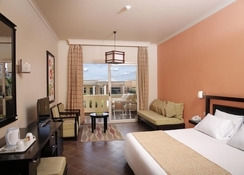 All 199 guest rooms are exclusively decorated and designed especially for Grand Plaza Resort, combining earthy colors with soft lighting for a relaxing atmosphere. Amenities include exclusive pool view, individual heat and air conditioning, key-card locks, mini bar, direct-dial phone, Satellite TV, hairdryer. Breakfast is served at the main dining room Panorama buffet style. The Pool Bars covering the swimming pool area open from 09:00 till 18:00 and from 19:00 till 23:00 (summer); from 09:00 till 17:00 (winter), (Alcohol served from 11:00 till closing). Live music most nights of the week - Folklore shows – Karaoke, Dancing and full weekly animation program including social and sports activities. Two elevators make the hotel accessible for handicapped guests. Build up confidence and your body at the equipped Gymnasium that meets the demands of even the most dedicated fitness fanatic. Invigorate & relax your mind, body, spirit and emotions, through a range of rejuvenating refreshing treatments and experience a new level of well being! Fresh water swimming pools with small Aqua Park, children pool is attached Max depth of (170 cm). Towels, sun beds & umbrellas are free of charge. •Babysitting in the guest room after kid’s club closing hour. •Doctor on call 24 hours a day. Please note that starting with 01.11.2017 until 30.04.2019 Grand Plaza Resort and Grand Plaza Hotel will be closed for full renovation works. ON ARRIVAL THE HOTEL LOOKED LOVELY THEN WE WERE TOLD WE WERE NOT STAYING IN THAT HOTEL BUT AT THE SISTER ONE, WHICH WAS OVER THE ROAD. A NICE HOTEL BUT ALL THE FACILITIES WERE OVER THE ROAD. VERY DISSAPOINTED, WE FELT WE WEE MIS-LEAD INTO WHERE WE WERE STAYING.